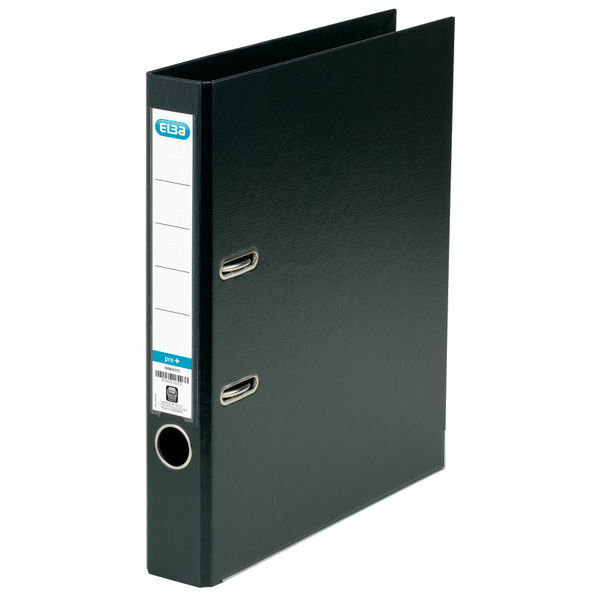 Elba A4 Black Lever Arch File is the ideal solution to store and organise every day documents. With a spine width capacity of 50mm and two rings, this is the perfect answer for filing A4 paperwork and has a capacity to accommodate up to 330 sheets. The heavyweight plastic covering lever arch file with a metal finger ring ensures secure storage of loose-leaf papers. Elba A4 Black Lever Arch Files offer peace of mind that archived items can be stored beyond the short term as required withstanding the rigours of daily office life. A locking compressor bar keeps your documents in place and the label area ensures you can quickly and easily locate the desired paperwork as soon as the need arises. Perfect for everyday filing and documents for the office or home, the durable and attractive finish means this A4 Lever Arch File can also withstand regular handling. 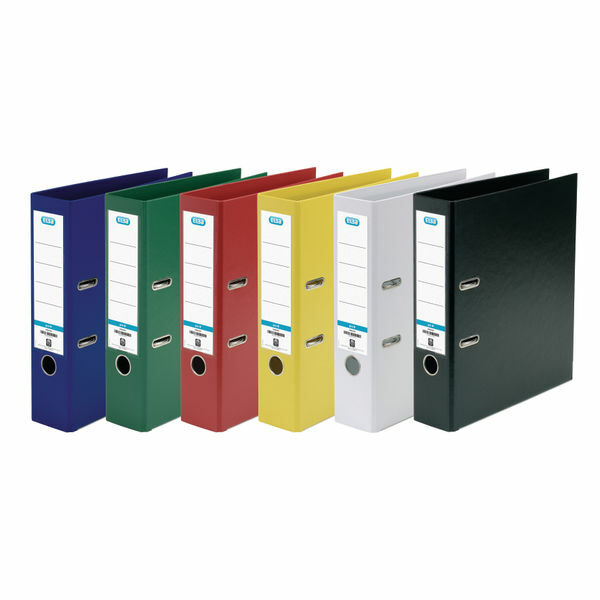 The Post Office Shop offers a range of Elba Lever Arch Files in different sizes and colours to meet all your storage requirements. Want to insert your A4 documents in plastic pockets for additional protection? Our A4 Multi-Punched pockets are the perfect solution for additional paperwork storage peace of mind.